Both us and the golf pro are very often receiving questions of form "Why is my index 16.5? How was it calculated?". Sometimes it can be easy to calculate it by yourself, but there are some cases when it may prove to be very difficult. 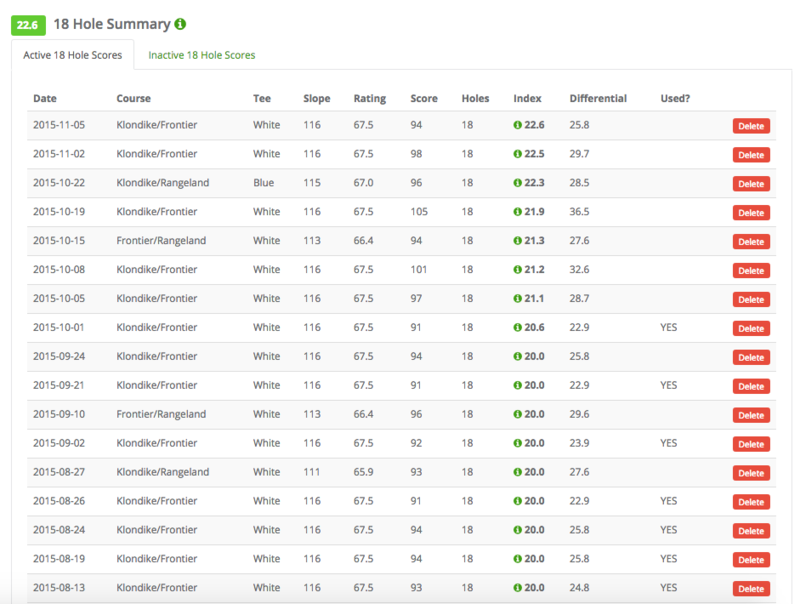 The Golf Handicap Analysis tool was created to answer these questions. It contains step-by-step mathematical instructions that detail how a golf handicap was computed on the day, and it takes just one click to figure it out. There are two ways to find out the final golf handicap. You can click on the i next to current golf handicap or the i next to a historical golf handicap.